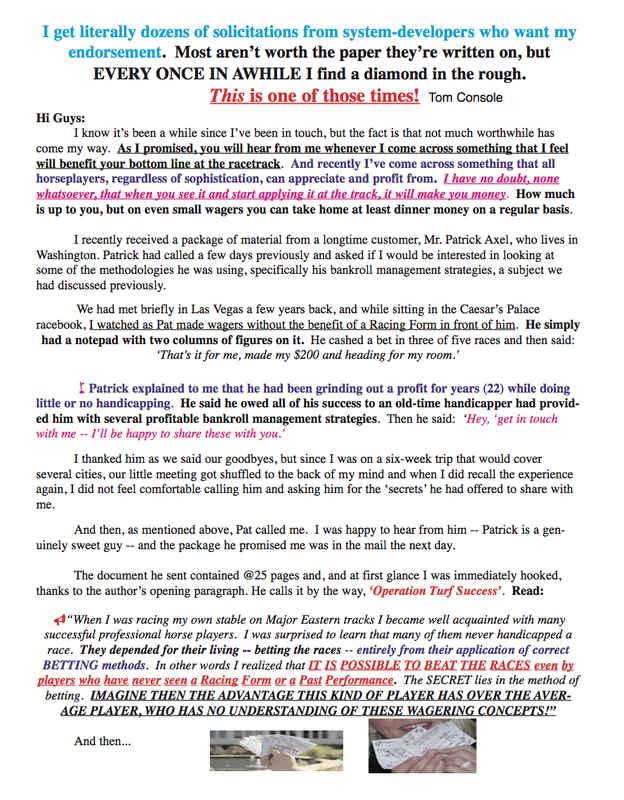 Editor’s Note: Tom Console has once again scored a coup with the acquisition of one of the most potent collection of Racetrack Bankroll Management Strategies ever published. 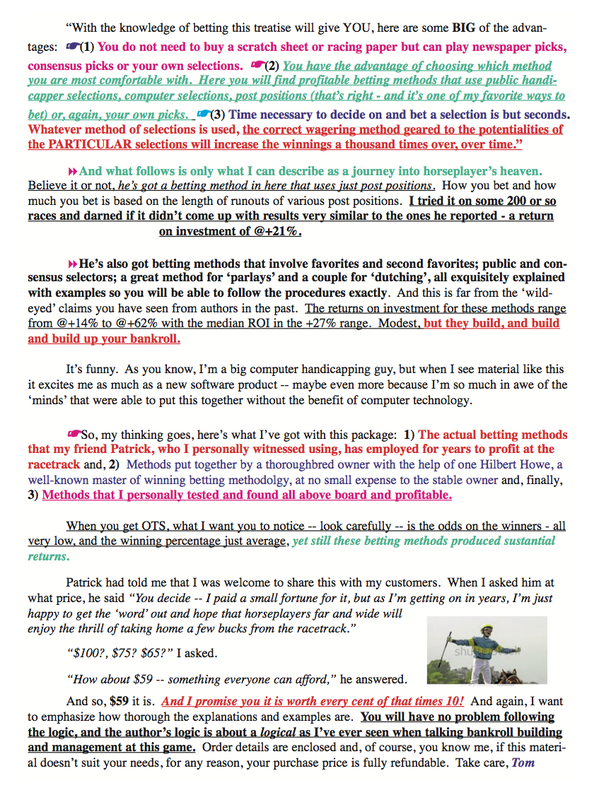 These strategies turn even low win percentages (27% to 33%) and low prices into Solid Profits. 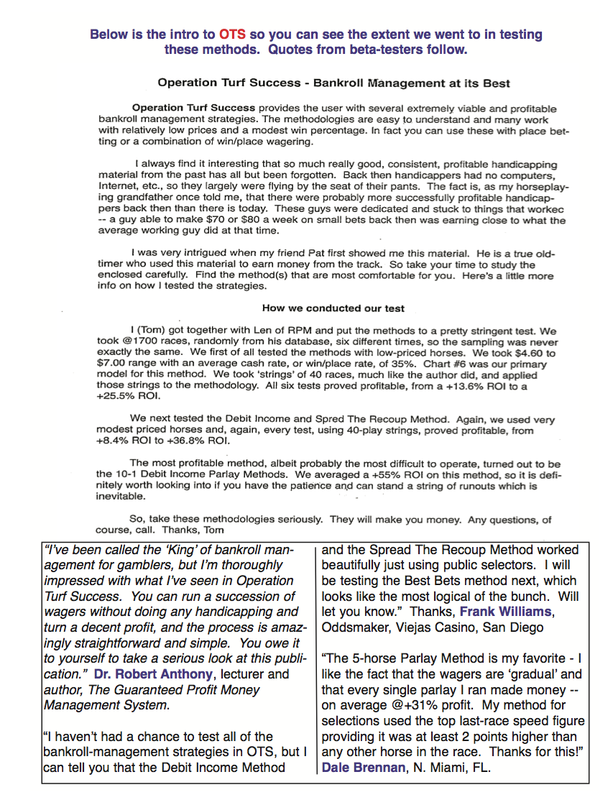 Every professional handicapper in the business uses a proven Money Management Plan – in fact these strategies were developed by an important thoroughbred racehorse owner and the statistician he hired. 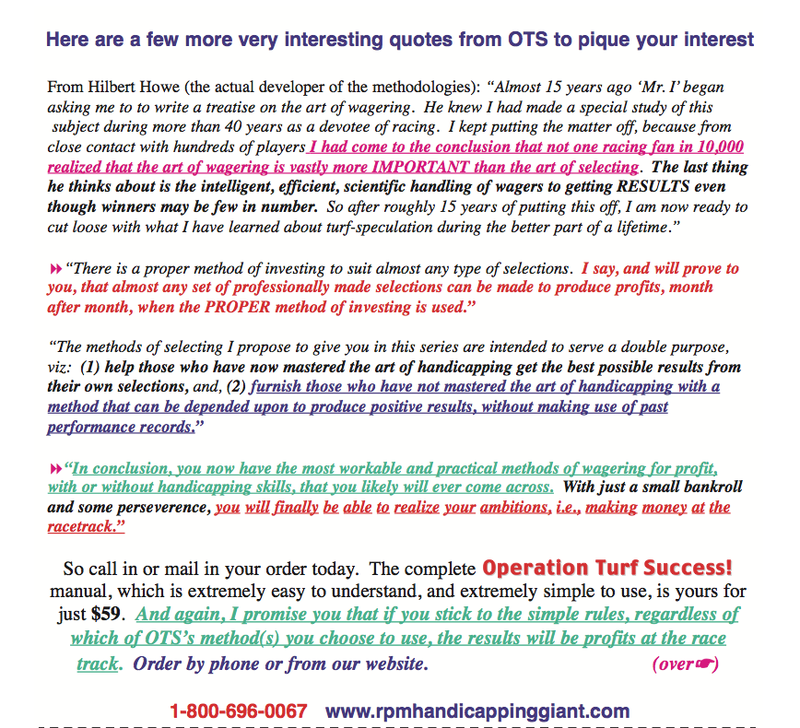 You can use a good system of play, speed figures, public handicappers — even post positions to turn a positive bottom line. No handicapping is involved. Follow the plan – you will make money – it’s that Simple! In addition, the text you will receive provides many, many ‘insider’ insights that will aid you in other areas of the game as well. The Statistician who designed these strategies, Hilbert Howe, weighed literally hundreds of mathematical factors to come up with the winning plans. They are purely scientific approaches that put the odds in horseplayer’s corner.